Joe Brolly says that it is time for Kerry to 'start again' with a new manager but hailed David Clifford as one of the few bright spots of a disappointing season for the Kingdom. 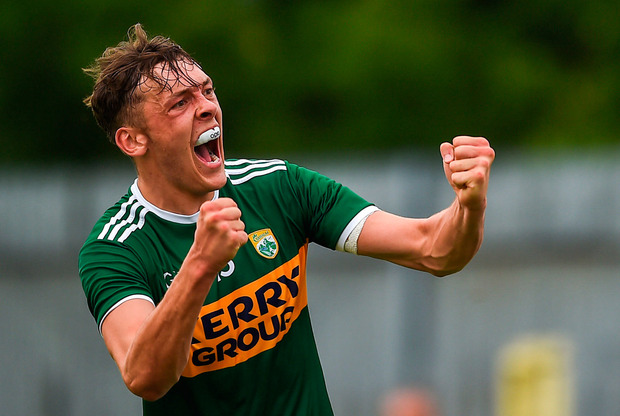 Clifford arrived in senior football this year after an illustrious underage career and has immediately delivered on his potential, netting goals in all three All-Ireland quarter-final clashes even as his team struggled around him. Clifford looks certain to win an All Star as well as the Young Footballer of the Year award and speaking on The Throw-In, Independent.ie's GAA podcast, Brolly added that he wouldn't be surprised if the talented teenager scooped the overall individual award too. The Sunday Independent columnist also addressed Eamonn Fitzmaurice's departure, saying that it was the right decision and that Kerry need a fresh start. "Eamonn [Fitzmaurice] has given everything to the cause but things haven't worked for him," Brolly said. "I think it took too long to introduce the younger players from the All-Ireland minor teams. There was an illusion created in the Munster championship by how poor Cork were and once they came up against the blanket defensive teams, they had very few answers but for the phenomenon that is David Clifford. "He could easily be the Player of the Year because he has been living off scraps and his contributions have been monumental. I knew he was outstanding but I didn't see that he would settle so quickly. This kid is full metal jacket. But aside from that it has been disappointing for Kerry and it is time to start again." Kerry will now look to appoint a new manager, with minor boss Peter Keane and U20 manager Jack O'Connor two names being linked with the post. Brolly says that whoever comes in will need to develop tactics to better deal with packed defences. "Penetrating the blanket defence is a huge thing," Brolly said. "You have to have a very clear strategy and not just hit and hope. In the end Kerry were reduced to hitting the ball long to Kieran Donaghy and hoping for flick downs. I know it saved them in Clones but it was too late by then."